From our beginnings in 1842, Dazian has been the choice among entertainment professionals for innovative FR theatrical fabrics. From masking to glitz, our extensive fabric collection is now combined with expert custom theatrical drapery, digital printing, rentals, fabric structures and LED scenic products and services. Dazian is the go to company when you want something out of the ordinary. 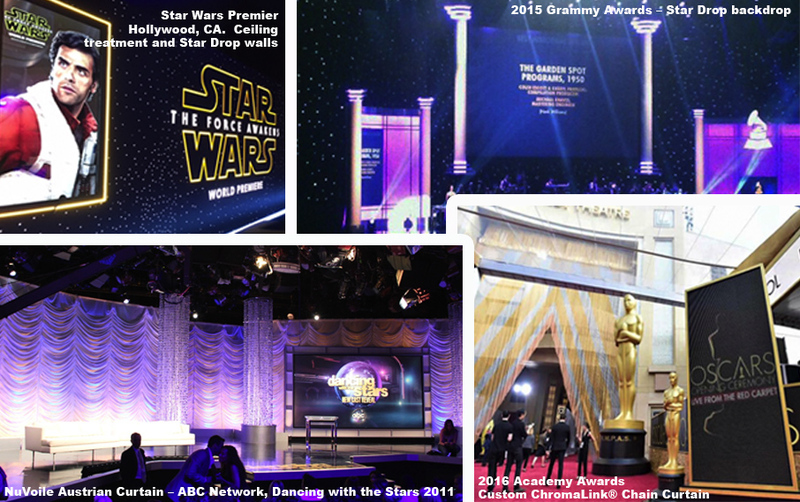 We specialize in engaging the unique challenges of Theatre, TV, Film, Live Entertainment and A/V productions. We have redefined how lighting and fabrics work together to create unique visual effects and are constantly developing new technologies to stimulate the creative appetite of the Entertainment industry.